StartMeeting is an HD video and audio conferencing tool from FreeConferenceCall.com. "Helpful but old-fashioned with no webcam capability." Offers a free plan which is very helpful to beginners and small enterprises, it's cheap because with only $19.95 per month you get the smallest package, it's a better tool for creating presentations with audio and share them directly to your audience through email or any other channels, the very unique feature I found interesting is the international dial in number they give you at an additional of around $4.5 per month. Does not support video conferencing or video chat making it old version who in this century doesn't want the reality feel that video conferencing provide, some cheap competitors like Webx are offering video, I find the capacity of 50 seats capacity too small for $19.95 per month for an audio only conferencing tool. There are so many details to be entered by attendees like pins which discourage them from joining the meetings. To remain competitive they will need to accommodate video conferencing. For startups StartMeeting is good because it comes with similar convenience as that of video conferencing but could be boring when you have to listen discussions of a conference like you are listening to a radio. "Easy to Use Conference Call"
Easy to use, easy to log on, easy to set up meetings through Microsoft office. we really like there is no charge by minute or charge to record or listen to recording. it doesn't do breakout rooms or polls like Adobe does. weekly conference calls with documents to share. easy to share presenter screen with others. StartMeeting is an amazing web conferencing product that is made to easily connect to other over the web. The HD video and audio is probably our favorite thing about StartMeeting because we never run into issues with people not able to hear us during the meeting. The video is also top notch. Web conference calls can be a pain to setup and stay connected to. StartMeeting makes all of that a thing of the past. The reliably of this product is probably the best part. When we hold our meeting is very important that we stay connected the entire time. Generally no complaints, but on occasion participants have trouble dialing into the meeting. Highly recommend. 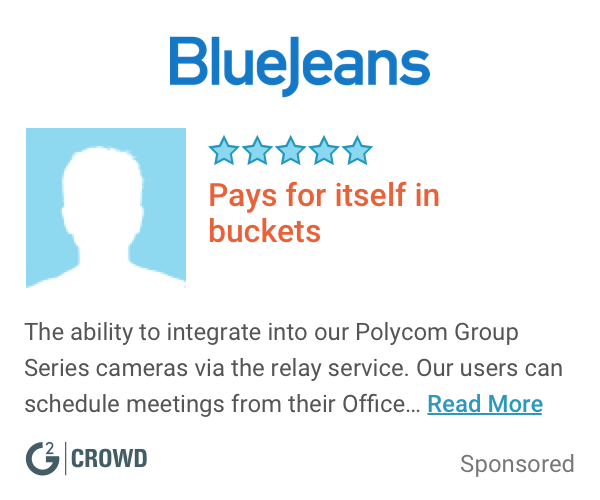 Great way to connect with clients or team members located remotely. We present to our internal clients on a monthly basis. It allows us to connect with teams located nationwide in the most seamless way possible. "Easy to Connect Globally, Perfect for Call Conferencing"
Team huddles can be done easily in which the presenter can share the screen. Even if the team mate is in other country he can attend the meeting. Audio and video quality is appreciable. "Headed In The Right Direction"
This has been one of the best web conferencing tools I have used in the last few years. The connection speed of when then meetings get started and everyone gets logged in is probably my favorite part. I havent had an issue yet so I love this! 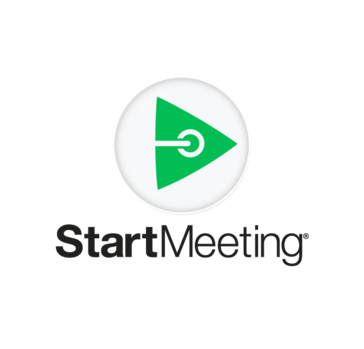 "Startmeeting is a great meeting app"
It is a very good conference solution, I was invited to a couple of meetings and I think it is a very good alternative to other vendors. Hold music and custom greetings are very nice features. I think there should be only one enterprise plan, the differences between team and enterprise options are not that great. StartMeeting has worked wonders within our company because a lot of our employees work from home and it is easier to share information or host meetings. My favorite thing about StartMeeting is that there is no lag within the system. I like the screensharing and the video conferencing as well. I haven't had any major issues. Sometimes with these hosting sites, there is a lag but I haven't had that issue with StartMeeting. We are using StartMeeting to host weekly conference calls to update employees on updates and work. Able to bring together my team that's entirely remote and in different parts of the country for team meetings, presentations, etc. "User Savvy. Best for Call Conferencing and Screen Sharing"
Extremely easy to use, Voice and video quality are awesome easy to schedule meeting and get everyone connected. We had few issues with recording, calls were showing that its getting recorded but calls were not getting recorded. Affordable tool which has a great capability to connect the entire organisation globally. Video and voice quality is appreciable. Easy team hurdles with screen sharing. Everyone can get connected globally. "Great app in Meetings Hosting"
Its work well in conferences meeting and seminars. Its conference calling is OK. One can attend meeting anywhere. Its help me organize meeting at ease and attend meeting anytime as well. "Startmeeting - good product but has limitations"
Ease of starting a call, simple to share call information. Lack of access in China and some parts of APAC. Communication with members and international team. Fairly easy to use, helpful in setting up audio and video conferencing. Screen sharing is smooth and efficient. Has issues in starting up at times and video hangs could be due to poor connection. * We monitor all StartMeeting reviews to prevent fraudulent reviews and keep review quality high. We do not post reviews by company employees or direct competitors. Validated reviews require the user to submit a screenshot of the product containing their user ID, in order to verify a user is an actual user of the product. Hi there! Are you looking to implement a solution like StartMeeting?